FERRARINI PARMA MINI CHUBS - Lettieri & Co. Authentic cured meats, produced in Reggio Emilia, in the heart of Italian hill country. 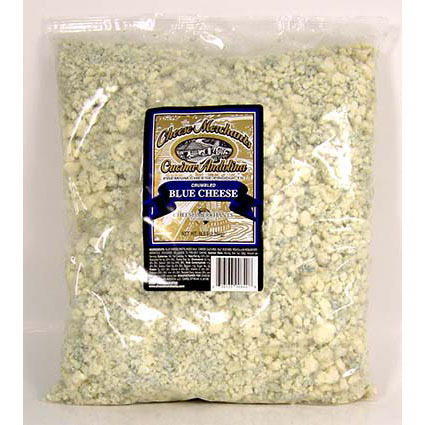 Cheese Merchants of America sources the finest quality handcrafted Danish Style Blue Cheese. This deeply blue-veined cheese has a tangy, piquant and peppery flavor, crafted in timeless Danish traditions. This unique cheese is a great flavor enhancer, perfect for cooking, topping off salads, or even plain. 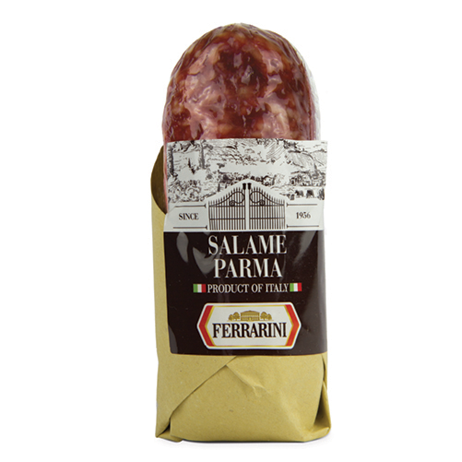 Made from Berkshire pork and black pepper, this sweet salami has a taste all its own. 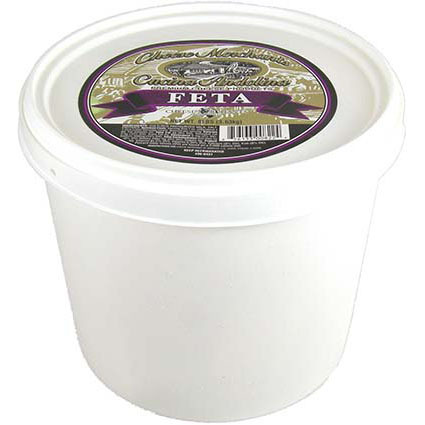 Cheese Merchants of America sources the finest quality Feta Cheese in the U.S.A. This ancient-style Greek cheese is a great salad topper and is used in a wide range of new-age dishes. 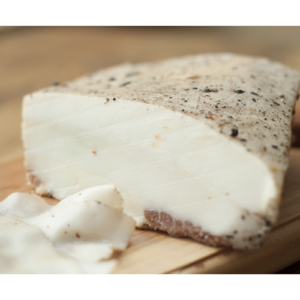 From an ancient mountain tradition, the cheese Ricciolo unites a soft, melting, creamy, under-rind, with a dry heart, becoming more aromatic throughout its seasoning process. 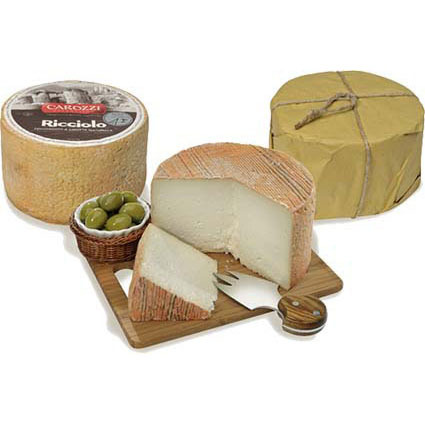 This cheese is obtained by treating whole cow milk with heat similar to the quartirolo cheese. The rounds mature on wooden boards for about 6 months. Perfect as a table cheese; we suggest, to those who love to experience contrasting tastes, to serve it with red wine jellies or fig sauce. Hot Lardo is cured back fat from Iberico de Bellota pigs of Spain. Seasoned with sea salt, Black pepper, Juniper berries, chilis, and lots of fresh herbs. It is used sliced thinly to add luxurious richness to dishes. 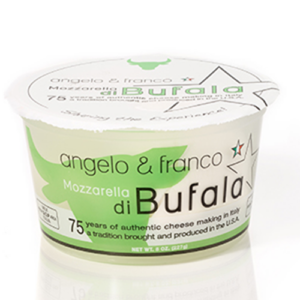 When Angelo Tartaglia and Franco Russo moved to Los Angeles from Bagnoli Irpino, Italy, they brought with them the skills and knowledge to produce authentic Mozzarella right here in California. 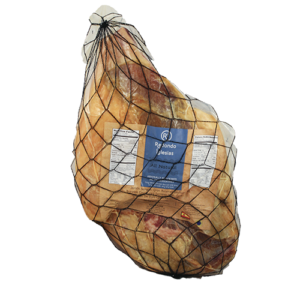 Artisanally aged serrano ham from Spain. Traditional methodology through modern technology. No preservative. 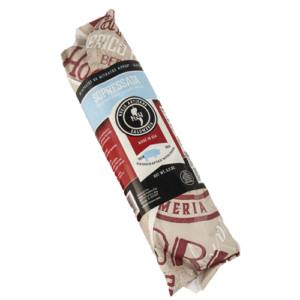 This salami from Nduja Artisans is made with Berkshire pork, pink peppercorns wine and garlic. 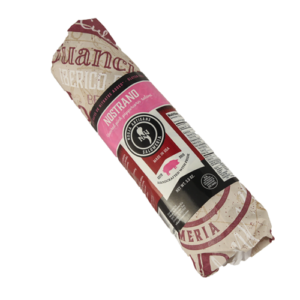 Nostrano is a very unique tasting salami, initially starts with floral notes and works into a great pepper finish. 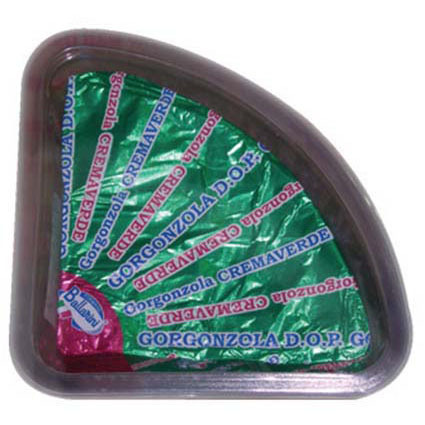 Ballarini's Gorgonzola is a what blue cheese should be - rich, creamy with a delightful tang. Crumble this piquant cow's milk cheese over salad, stuffed in ravioli, or as the star of your cheese plate. 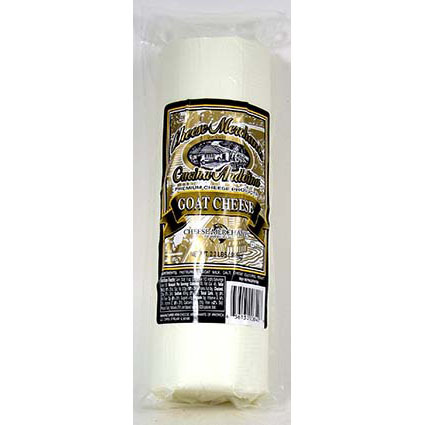 Cheese Merchants of America sources the finest quality domestic Goat Cheese. This delicate cheese is rich and smooth in both taste and texture. Goat Cheese can be spread on popular appetizers as well as crumbled on your salad of choice. Goat Cheese is becoming a chef's favorite in creating new, flavorful dishes, boosting menu options.